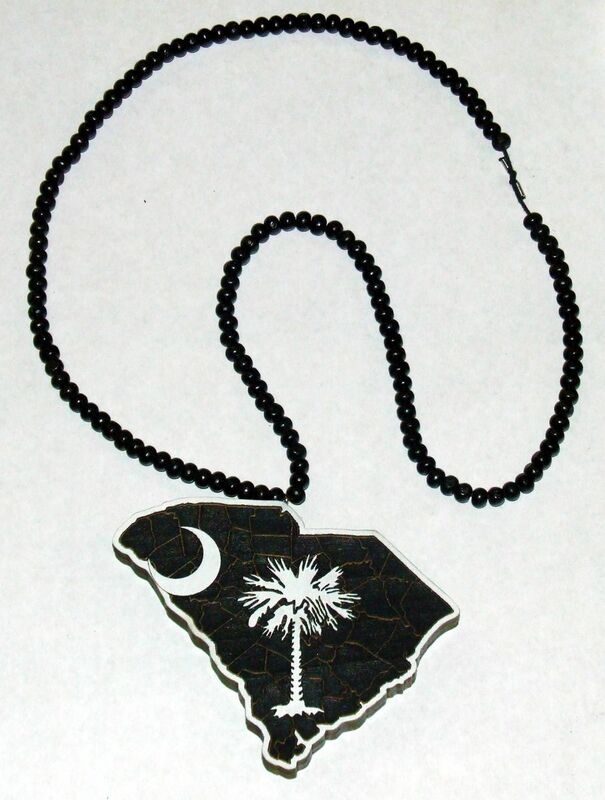 Laser cut pendant to the shape of South Carolina and laser engraved with state symbols. Face painted as per request. Necklace made of wooden beads and waxed cotton cord. 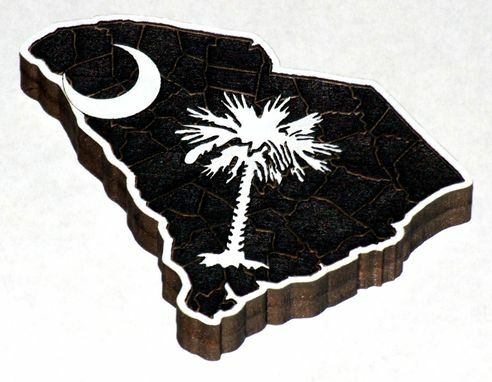 Dimensions: Dimensions can be made to almost any size.